Every kitchen should contain a good coffee and spice grinder. 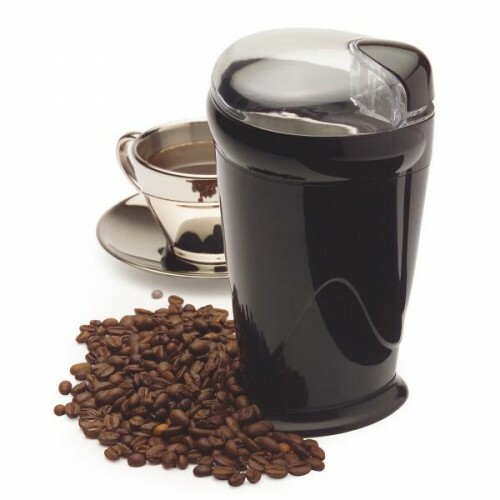 The Maxim Coffee and Spice Grinder makes the perfect choice. This grinder is perfect for grinding coffee beans, spices for cooking and nuts. Featuring a powerful 150w motor and a 70 gram capacity, you can see your coffee or spices being ground directly through the transparent lid. That way, you can see the consistency of your ingredients before putting them into your cooking.